Most hospitals in the region fared poorly in the federal government’s new five-star rating system based on patient surveys. The ratings underscore the growing interest in measuring quality in hospitals by more than the outcomes of care. Now, it’s also about satisfying patients over what they hear, feel and see. The ratings at www.Medicare.gov relate to adult patients’ experiences at 3,553 hospitals and health systems across the nation – gleaned from surveys on topics like noise, cleanliness, pain control, communication with doctors and nurses, and adequate preparation for discharge. The 11 measures are not new and have previously been made public as percentages. But now the government has organized the measures into easier-to-understand star ratings, as well as an overall rating, that can be used to compare hospitals. An advocate for health care transparency praised the change. “You can’t bury consumers in a mountain of statistics. You need evaluative reports where it is easy to tell who is doing a good job and who isn’t,” said Bruce Boissonnault, president of the Niagara Health Quality Coalition, an independent group that produces a hospital report card. Of 17 Western New York hospitals rated on patient satisfaction, none received five stars and just one, Lake Shore Health Care Center in Irving, received four stars. Seven area hospitals received three stars and nine received two stars, while several weren’t rated. Nationwide, 251 hospitals, or 7 percent, received five stars, with 1,205, or 34 percent, receiving four stars. Some 1,414 hospitals, or 40 percent, received three stars and 582, or 16 percent, got two stars, according to an analysis by Kaiser Health News. Elsewhere in upstate New York, no hospitals in the Syracuse, Rochester or Albany regions received five stars, and only four received four stars. “The patient experience star ratings will make it easier for consumers to use the information on the Hospital Compare website and spotlight excellence in health care quality,” Dr. Patrick Conway, acting principal deputy administrator for the Centers for Medicare and Medicaid Services, said in a statement. But medical experts continue to debate the pros and cons of measuring patient satisfaction. Some studies question whether patients’ perceptions correlate with the actual quality of a hospital, with doctors and administrators wondering if patients may rate an experience poorly if they didn’t get a medication, test or treatment that they requested, even if the denial was the right decision. Others indicate that patient satisfaction is a pretty accurate gauge. The federal agency stressed the ratings are relative, meaning the hospitals were compared to each other. The ratings do not mean patients will receive poor care from a hospital with a one-star rating. It means that hospitals that received two or more stars performed better on a measure. Next year the government plans to put in place similar star ratings for many of the other quality issues on Hospital Compare, such as rates of infections and serious complications. The measures have become a challenge for hospitals. The 2010 Affordable Care Act required Medicare, the federal health plan for individuals 65 and older, to take quality into account when paying hospitals. That includes results from patient satisfaction surveys. The American Hospital Association, the national trade group, warned the star ratings may not reflect quality and should be used with caution. “There’s a risk of oversimplifying the complexity of quality care or misinterpreting what is important to a particular patient, especially since patients seek care for many different reasons,” said Akin Demehin, the organization’s senior associate director of policy. John E. Bartimole, president of the Western New York Healthcare Association, said the information consumers see at Hospital Compare is only as valuable as the quality of the information the government collects. Hospitals can use the results to focus on areas that need improvement, Bartimole said. “I think they will be used by patients, and I think that they will be used by administrators, on both sides, to gauge strengths and weaknesses,” he said. Patients gave the hospitals a wide range of scores in the individual categories that make up the broader star rating. Fifty-seven percent of patients at Mercy Hospital and Erie County Medical Center indicated their hospital rooms and bathrooms were always kept clean, compared with a high of 82 percent at Olean General Hospital. The national average was 74 percent and the state average 70 percent. Among local hospitals, Kenmore Mercy Hospital earned the highest positive score, 77 percent, on whether people definitely would recommend the hospital to someone else. Niagara Falls Memorial Medical Center earned the lowest score, with 49 percent of patients saying they definitely would. The state average was 66 percent. Pat J. Bradley, a medical center spokesman, said the hospital receives regular updates on the survey data and seeks to improve in areas where its scores could be better. The hospital is working with Niagara University’s College of Hospitality & Tourism Management on a program to train staff on how to better interact with patients. Employees have taken a noise meter around the medical center to find sources of and remedies for unwanted noise. An ice machine and squeaky carts were among the worst culprits, Bradley said. Building renovations include noise-dampening materials. The Niagara Falls hospital also contacts patients after they leave to encourage them to fill out the Medicare survey, because officials want to get responses from as large a pool as possible. The survey seeks to assess interactions between patients and medical staff. When patients were asked whether they thought their doctors always communicated well with them, the scores ranged from 83 percent at Jones Memorial Hospital to 72 percent at ECMC, with a national average of 82 percent and a state average of 78 percent. Reaction among hospital executives in Buffalo was nuanced. “The ratings are important. They tell us where we stand, and we have teams at all of our sites working on these issues,” said John Kane, vice president of quality and patient safety at Catholic Health. Catholic Health includes Sisters, Mercy and Kenmore Mercy hospitals. He said the measures have a bearing on quality of care, noting that quiet rooms can encourage a healing environment, cleanliness may help avoid infections, and good instructions increase the likelihood that patients will follow through on their post-hospital care. Kane pointed out a limitation of the rating method: The difference between achieving one score or another may be small. 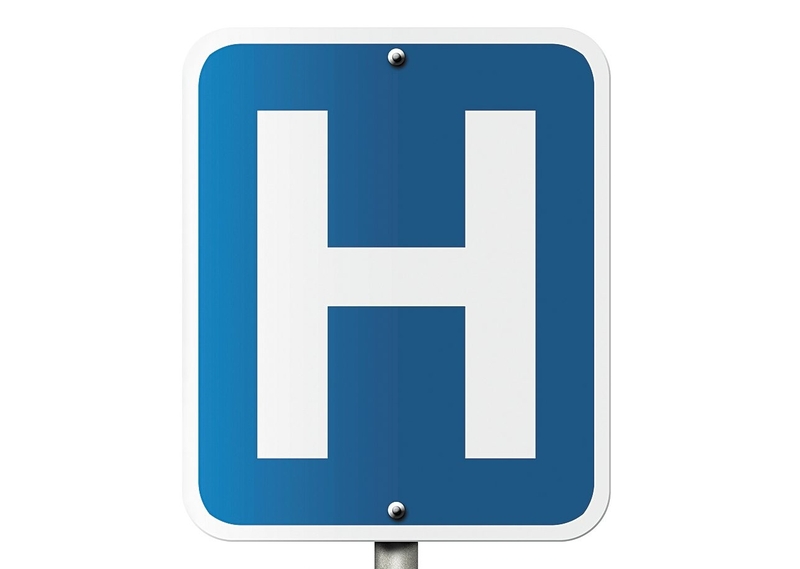 Nor do the statistics show whether a hospital’s efforts are headed in the right direction. At ECMC, chief safety officer Charlene Ludlow noted that larger hospitals that deal with complex cases with multiple specialists – and admit many patients through chaotic emergency departments – don’t fare as well as smaller facilities on the survey. Nearly 80 percent of the medical center’s patients enter through the emergency room. “Not every hospital is equal. They have different patient populations,” she said. As for cleanliness, for which ECMC scored poorly, she and others said patients tend to perceive newer buildings as cleaner than older ones. “Our physical plant is old, but it is clean,” she said. Regardless of the accuracy of every measure, the surveys reflect important aspects of a patient’s experience, Ludlow said. ECMC tries to learn from the data, she said. Among other steps, the medical center now has nurses make rounds every hour to check that patients’ needs are being met. “We have to get to the top decile, and we have to make sure we’re talking to our patients in lay terms so they understand what we’re saying,” she said. Dr. David Hughes, chief medical officer at Kaleida Health, cautioned that the rating measures only one component of quality. But he characterized patient experience as important to consumers for weighing quality and to facilities for identifying areas for improvement. The Kaleida Health system consists of Buffalo General Medical Center, DeGraff Memorial, Millard Fillmore Suburban and Women & Children’s hospitals. However, it is organized financially as one institution and, as such, the ratings don’t reflect the results from the individual facilities. TLC Health Network’s Lake Shore Health Care Center, the lone hospital in Western New York with a four-star rating, is a small, rural facility trying to emerge from bankruptcy after years of financial struggles. “We’re extremely proud of TLC’s record for delivering exceptional quality and patient satisfaction,” said Scott A. Butler, vice president of strategy and market development for TLC Health. “Those are two things we’ve always taken very seriously. Nothing’s changed over the last year in that regard. Quality and patient satisfaction are something we constantly work on to improve,” he added. The concept of measuring patient satisfaction is a good one, and it allows people to compare and make educated decisions about where to seek treatment, Butler said. But this particular system has flaws, he said. “It’s relying on incomplete data, on data that’s outdated – sometimes irrelevant – especially for the smaller hospitals and health systems,” Butler said.